Will the Release of Anne Curtisâ€™ Limited Edition Lipstick On Same Day of Her Wedding Guarantee Hefty Sales? Will the Release of Anne Curtis’ Limited Edition Lipstick On Same Day of Her Wedding Guarantee Hefty Sales? 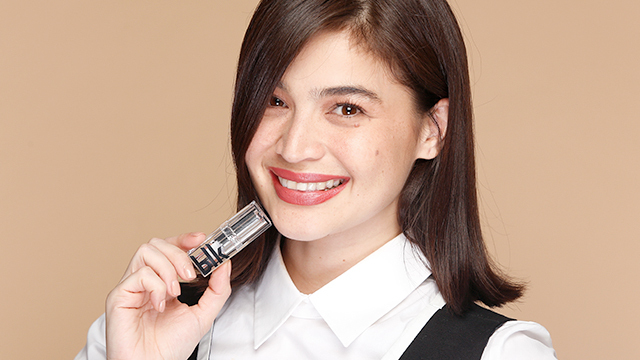 When Entrepreneur Philippines interviewed Anne Curtis recently about her new make-up line, blk Cosmetics, she mentioned that there was a surprise in store for her fans. On Sunday, November 5, the secret was out. The actress and host married her longtime boyfriend, businessman and media personality Erwan Heussaff in Queenstown, New Zealand. The big surprise Curtis mentioned was a limited edition lipstick line that she released on the same day as her wedding to celebrate and share the occasion with her followers. She’s making the line available through blk Cosmetics. In a report on Preview.ph, the bridal-themed collection contains two lip colors called “I Do” and “Mon Amour” chosen by Curtis herself. She wore both shades to the wedding. 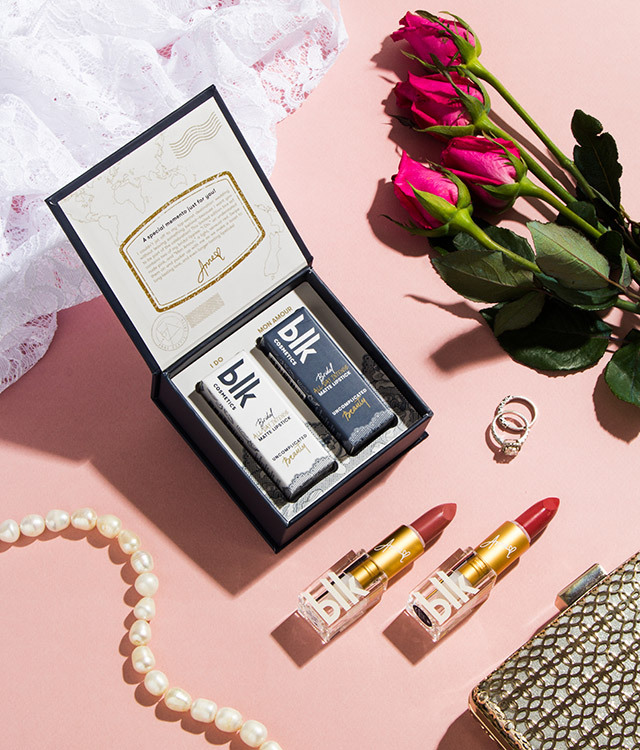 blk Cosmetics' Bridal lipstick collection consists of two shades: "I Do" and "Mon Amour"
Curtis’ business partner and blk Cosmetics co-founder Jacqe Yuengtian-Gutierrez said it was the actress and host’s idea to release a bridal lipstick line. Curtis’ bridesmaids received a boxed set of the lipstick line during the wedding with a special note from Curtis herself. But for everyone else who wasn’t there, the lipstick line is available through blk Cosmetics. Each lipstick is sold individually at Php349 and together in a special Bridal Boxed Set with Curtis’ note inside. “The set is actually is patterned after [the wedding's] Save the Date, so you’ll see there a map of New Zealand and the logo of the wedding,” Gutierrez said. “It’s Anne's way of celebrating her wedding with her fans. A toast to long-lasting love, and even longer-lasting lipsticks!" The timing of the product launch of the limited lipstick collection seems to turn the concept of events-based marketing, which is typically based on milestones in customers’ lives, on its head. 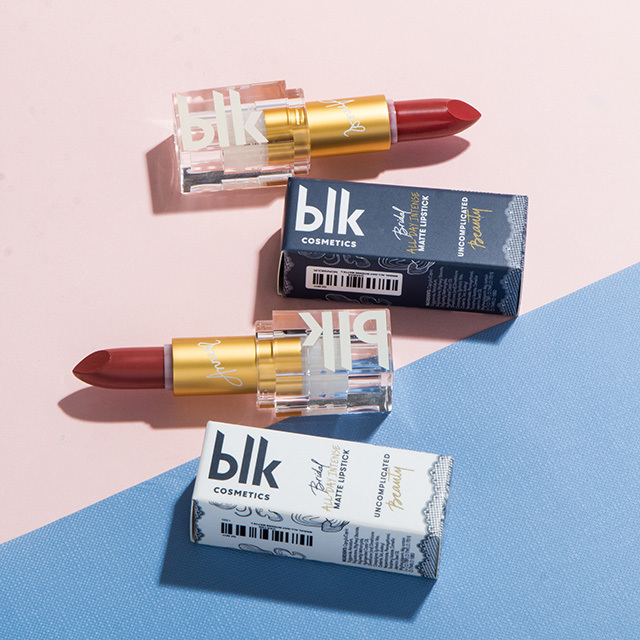 In this case, the trigger for customers to buy the new product line is not an important event their lives but rather a key moment in the life of the blk Cosmetic’s celebrity owner – Anne Curtis’ wedding. It remains to be seen if this new kind of marketing or promotional scheme will work among her legions of fans.